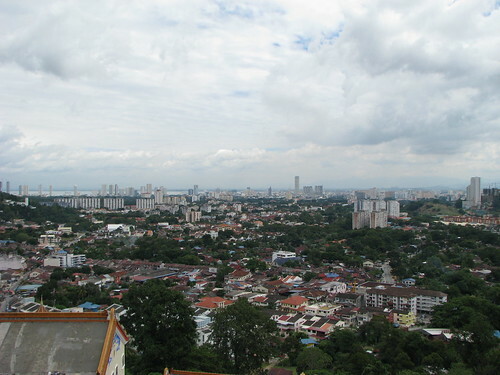 The state of Penang comprises of mainland Sebarang Prai and Penang Island. 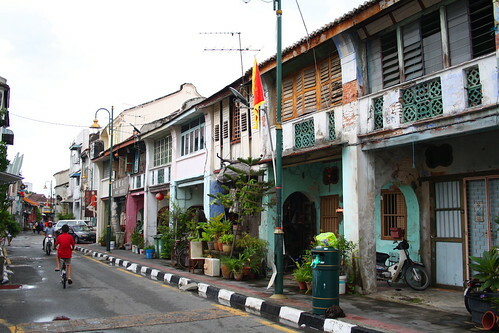 For tourists to the state, the main destination is the island and often referred as just Penang. The island is one of the most visited tourist destinations in Malaysia, especially among backpackers. Penang offers a little bit of everything to the visitor including history, culture, beaches, highlands, shopping and food. More at Guide to Penang. Georgetown is the state capital, founded by Captain Francis Light in 1786 and named after Britain's King George III. A cramped city of around 720,000 and the second largest in Malaysia. The heart of Georgetown is occupied by buildings mostly constructed before the Second World War including British colonial-era buildings, homes, shophouses and places of worship. 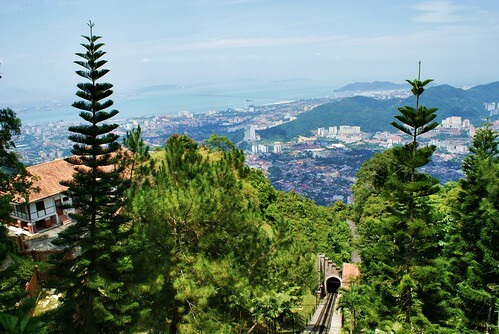 You can either walk up 833 metres (2,733 feet) or relax on the funicular train to the top of Penang Hill. The highlight of the ride is the scenic view of the rainforest as it passes through. Penang's most popular beach destination is Batu Ferringhi, though the beach here is not among the best in Malaysia. However, there is plenty of accommodation, restaurants, shops and a lively night market.